30 Meters to the Beach!!! 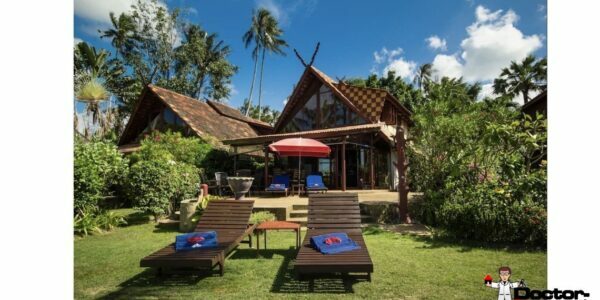 This new Doctor Property offer is located on one of the most beautiful beaches in Koh Samui. 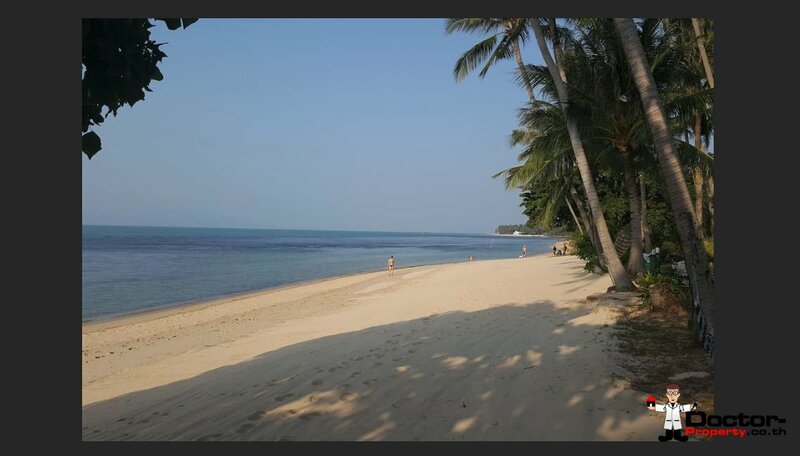 In Bang Por you can still find the lonely white sand beaches and enjoy the crystal clear water. Bang Por is located in the north of the island and is only 25 minutes from the international airport. 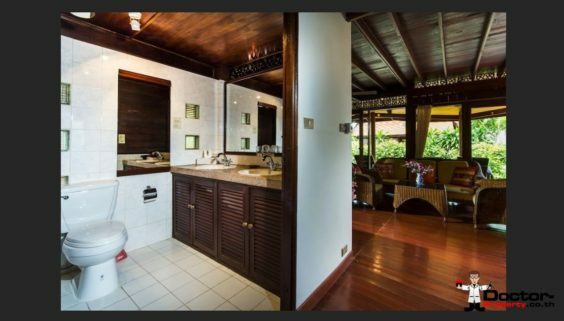 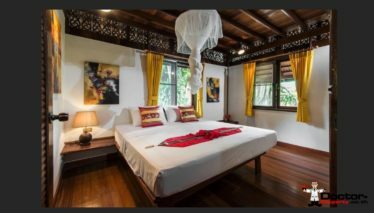 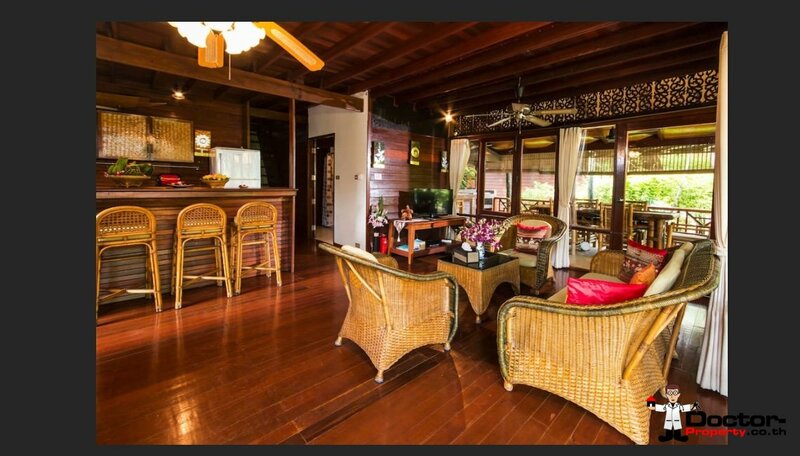 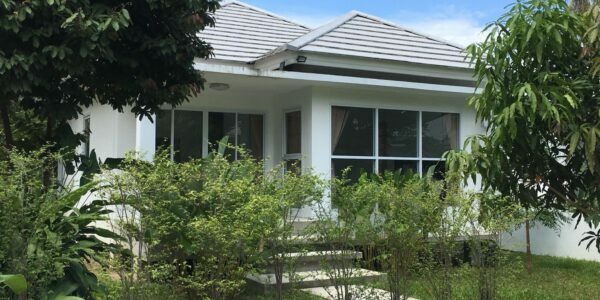 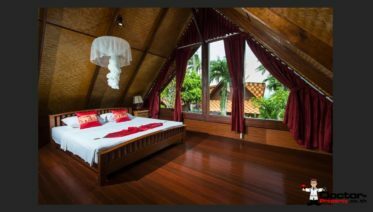 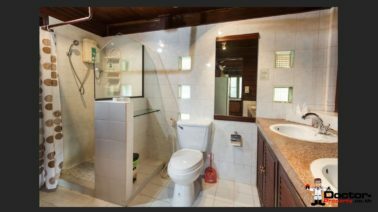 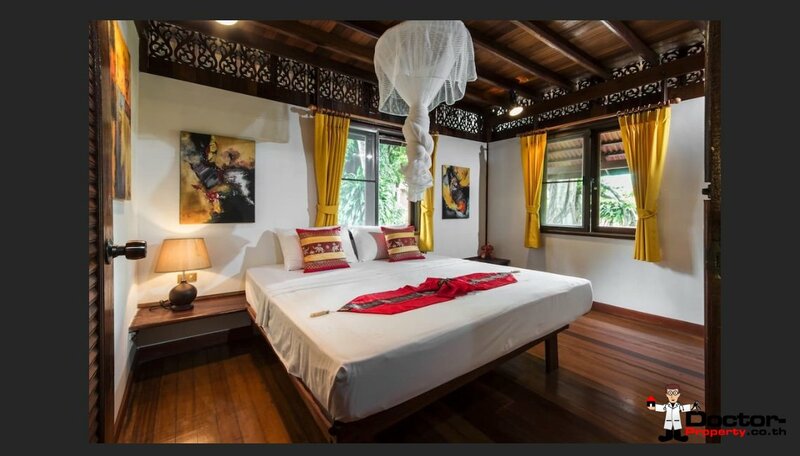 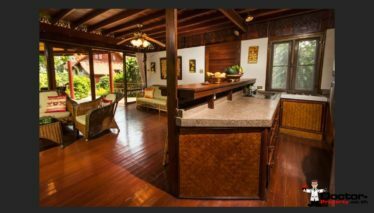 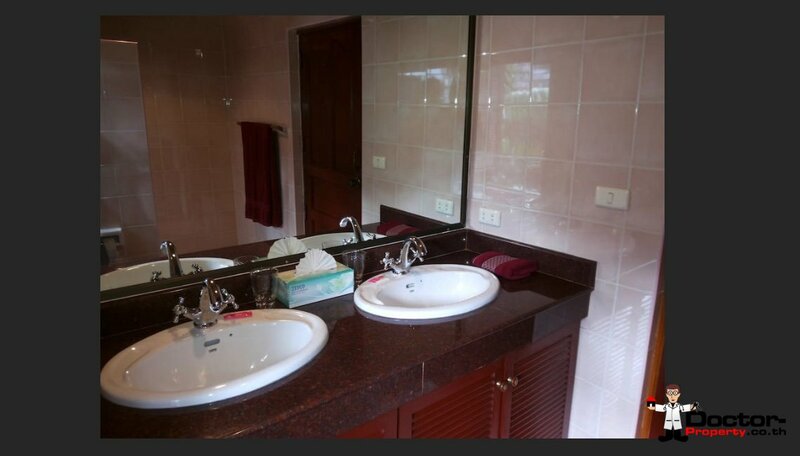 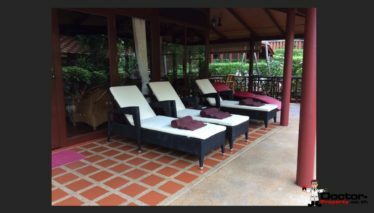 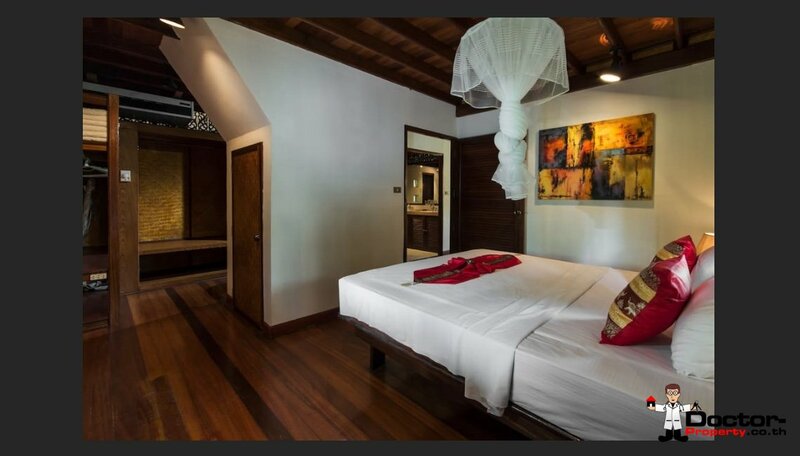 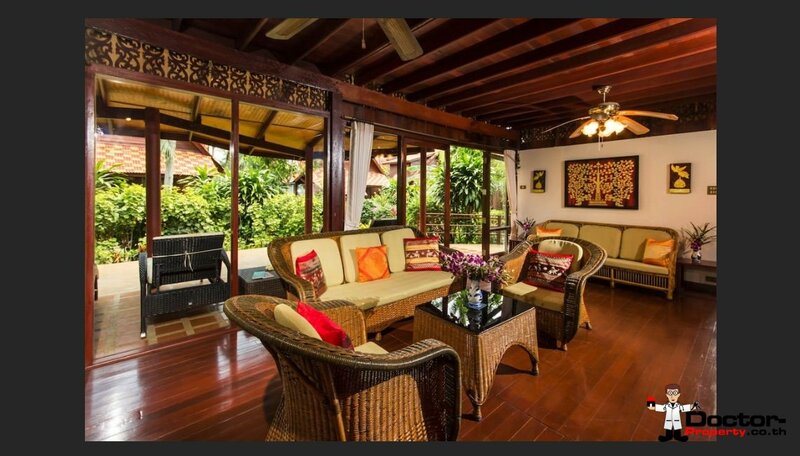 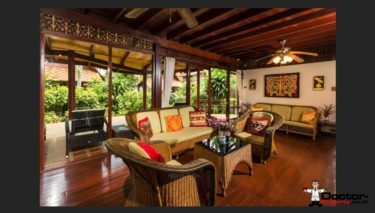 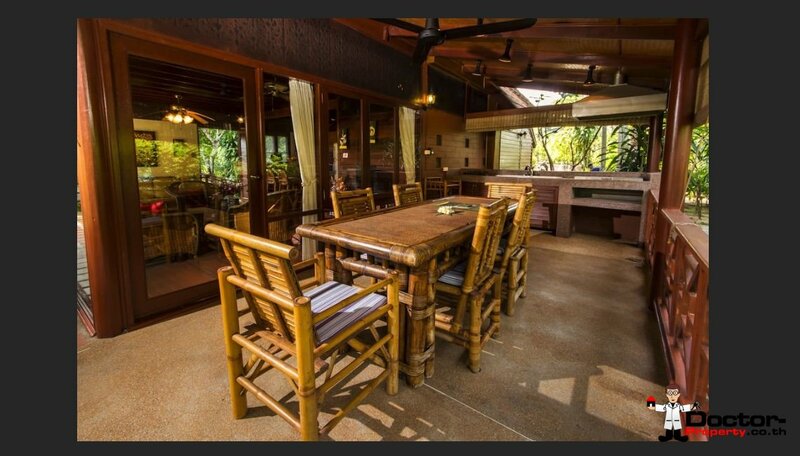 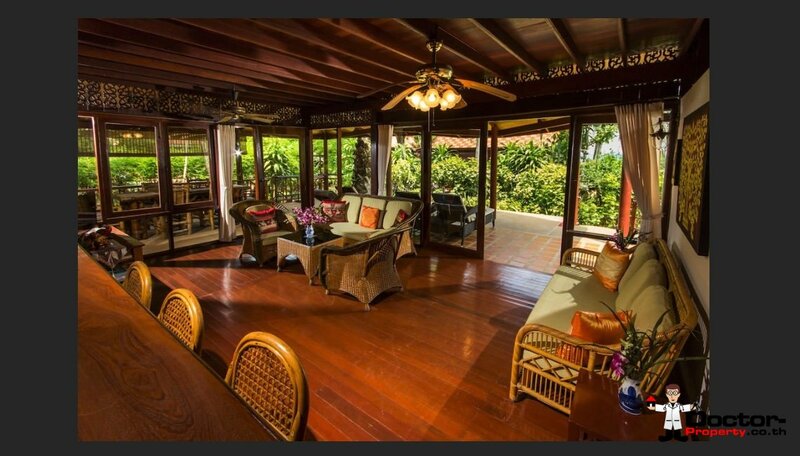 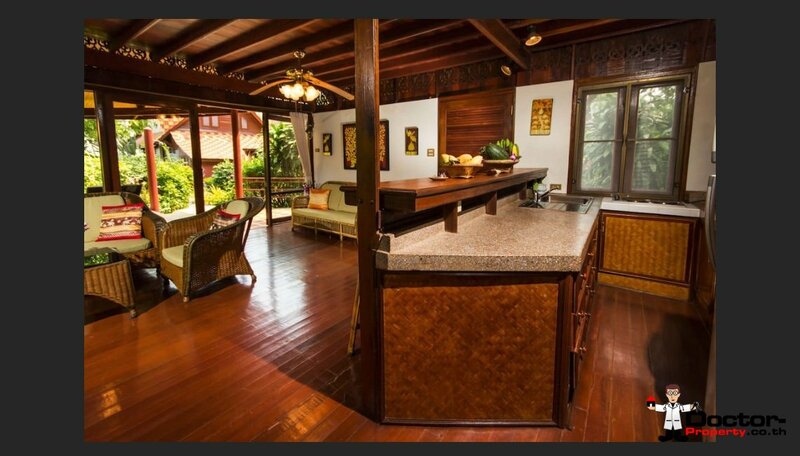 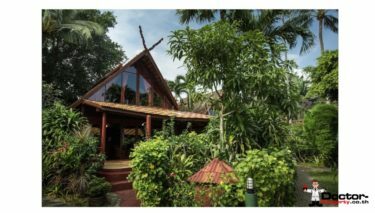 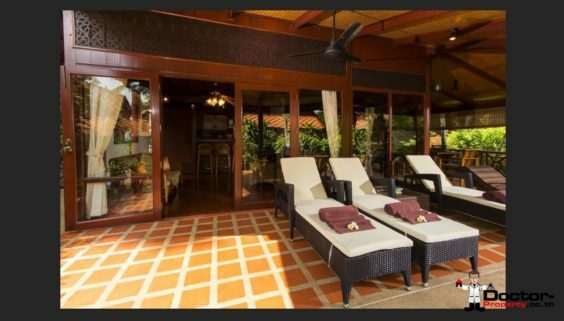 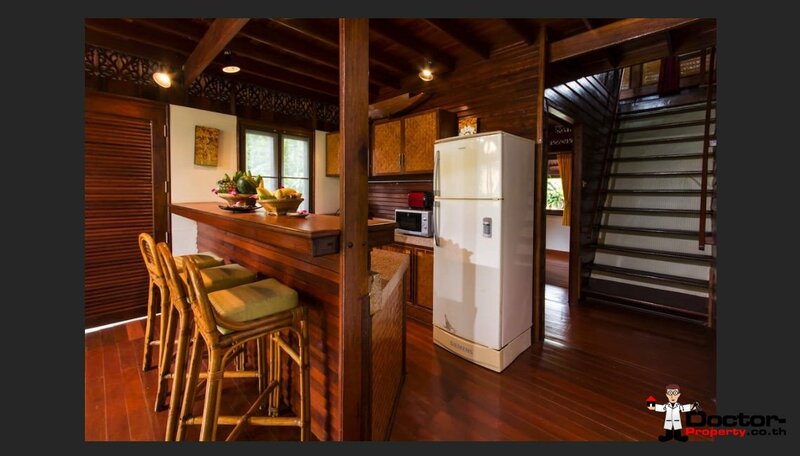 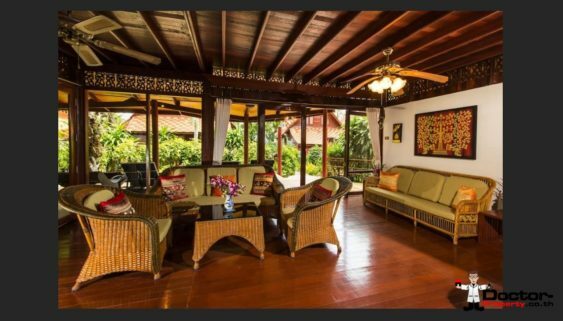 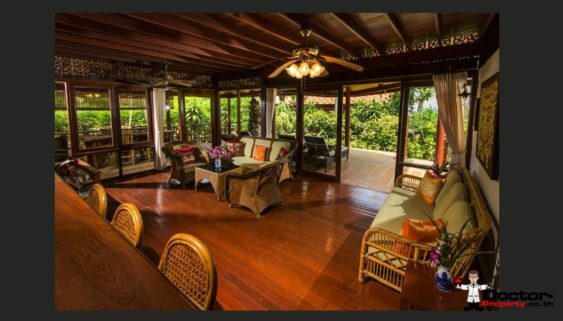 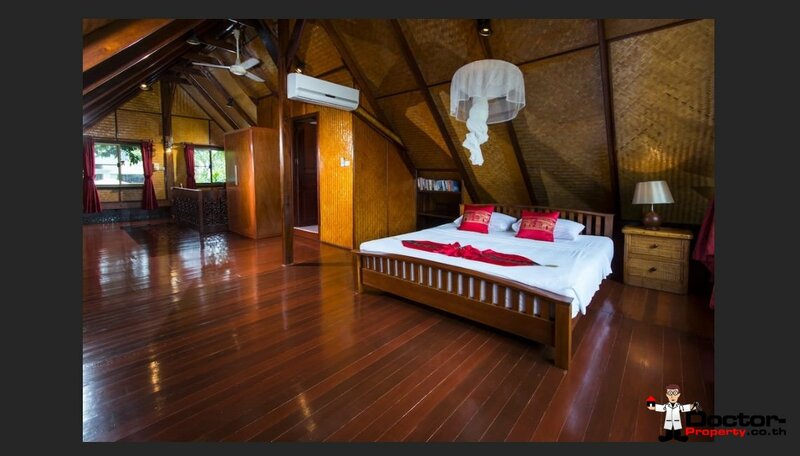 Likewise you need from this beautiful teak villa only 25 minutes to Chaweng Beach, or the Bangkok Hospital. 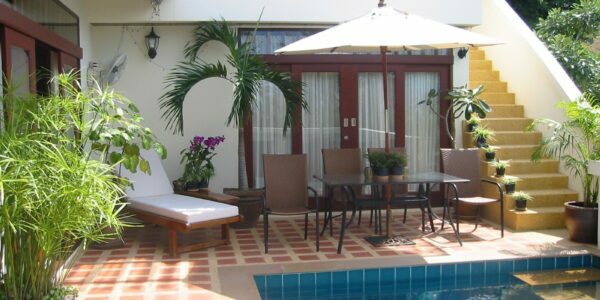 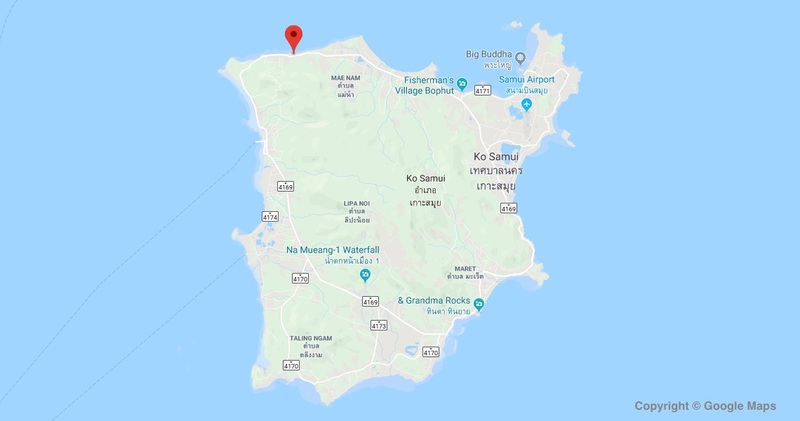 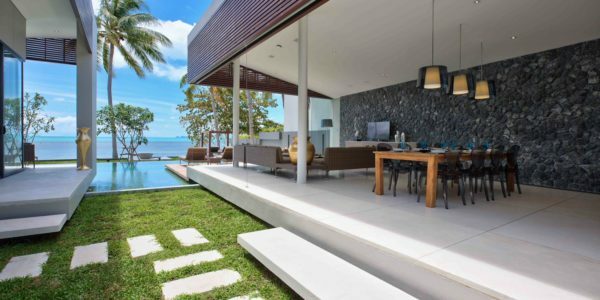 This area is especially popular with long-term guests on Koh Samui. 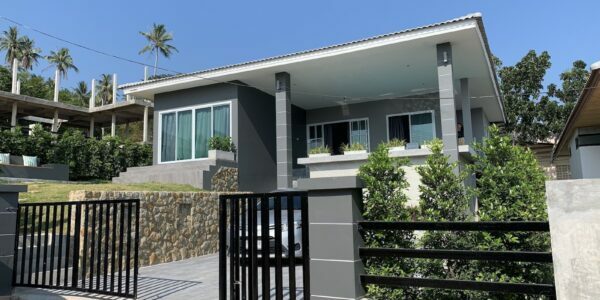 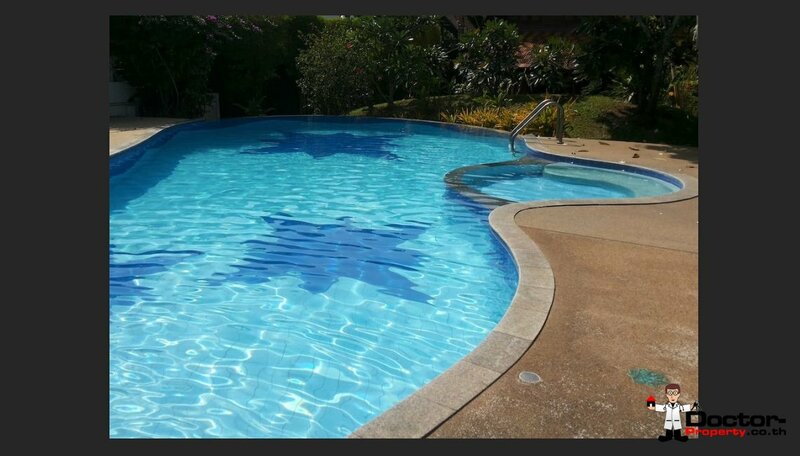 This beau­ti­ful tra­di­tion­al vil­la is locat­ed just 30 meters from the beach, sec­ond beach line. In total, this com­plex includes 8 tra­di­tion­al vil­las. In total, this vil­la has 2 bed­rooms, 2 bath­rooms, a kitchen and a liv­ing room. Out­side there is the small gar­den and the large ter­race. 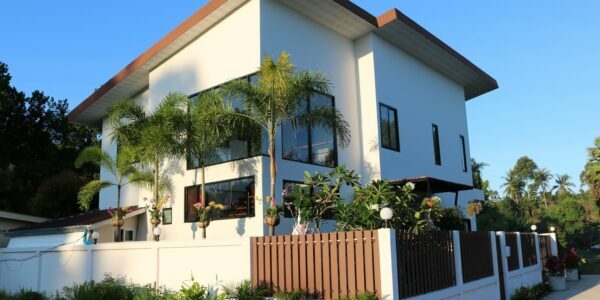 In this vil­la com­plex is still a large com­mu­nal pool. 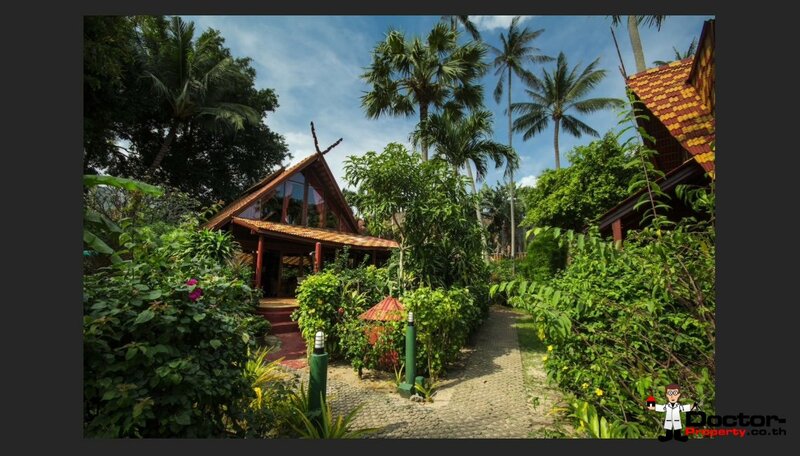 You have the oppor­tu­ni­ty to take over the exist­ing lease from the pre­vi­ous ten­ant. 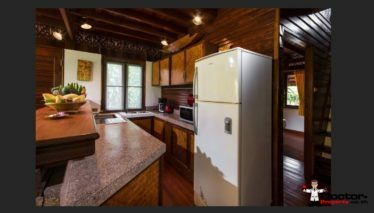 The term is still 17 years. This vil­la is sold as a lease­hold mod­el. 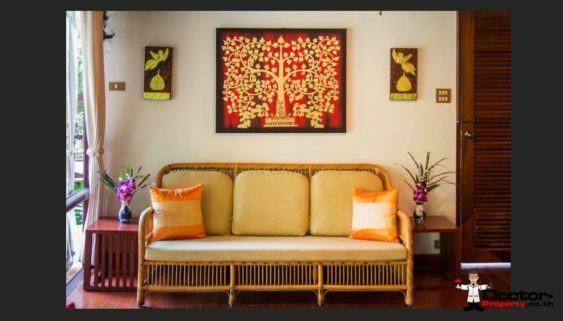 Could we spark your inter­est? 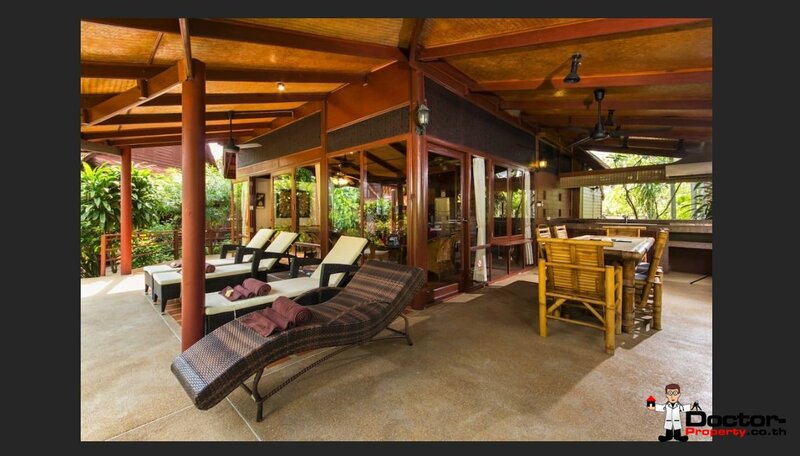 Then con­tact us today and arrange a view­ing.